The closest I got to Woody Guthrie was the morning I quickly shuffled through his personal letters, while a vigilant lady kept a beady eye on me, in a small room in a New York office block. The office belonged to Harold Leventhal – the legendary music manager who’d worked with Benny Goodman, Pete Seeger, and Guthrie himself. His staff had maintained the folksinger’s archive for decades after Guthrie’s death, and I visited there in 2003 to undertake some research as part of a writing project I’d planned. My groundwork came to naught, but I did enjoy an hour immersed in manuscripts of Guthrie’s lyrics, letters, and notes (and briefly encountered Leventhal himself). Looking back, the ride up an old escalator to a small room in an ageing Midtown building was the culmination of a journey I’d been on for a few years. Bruce Springsteen once commented that when he heard the opening of ‘Like A Rolling Stone’ for the first time, “that snare shot…sounded like somebody’d kicked open the door to your mind”. My snare shot was the first few fingerpicked bars of ‘This Land Is Your Land’, recorded by Guthrie in 1944 and which I heard for the first time – and listened to heavily afterwards – in my rented room on Cadogan Road in Dublin in the late 1990s. I’ve long since lost the CD that contained that track (and others, including a great Cisco Houston version of ‘Deportee’) – probably because I moved on from it so quickly. Within months, I’d picked up and devoured whatever budget-priced collections of Guthrie’s music I could afford. Shortly afterwards, on a trip to New York, I came across a copy of ‘Bound For Glory’ at Biography Bookshop on Bleecker Street, five minutes’ walk from ‘Alamanac House’, the apartment Guthrie used as a writing space with Pete Seeger and others in the 1940s. All the while, I played and sung Guthrie songs on my battered Hohner acoustic guitar – at parties in Dublin, at cook-outs on the shores of Lake Tahoe, and – an occasion which sticks out in my memory – far above New York’s pavements on the balcony of an Upper West Side apartment I crashed at on another brief visit to the city in the 90s. 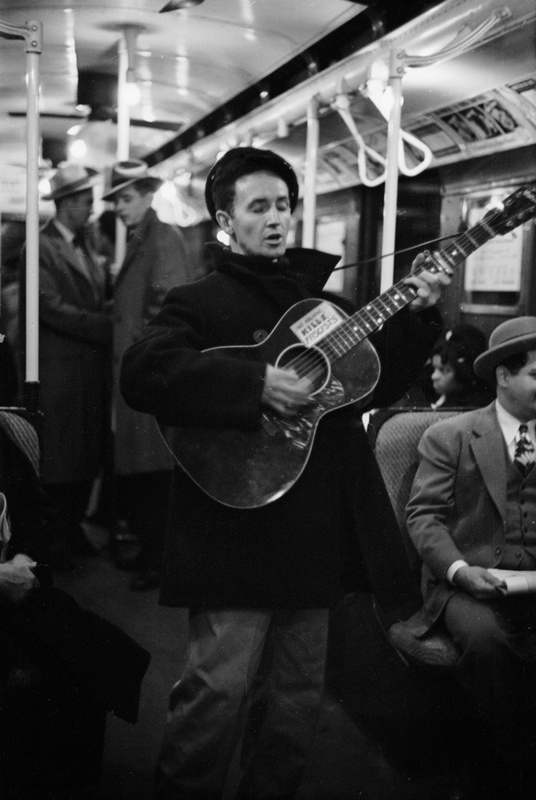 So Woody Guthrie meant a lot to me back then. He still does – a small part of me takes heart in the fact that every time I see the mighty flow of water which runs 10 minutes from my home in Portland, my first thought is ‘Roll On, Columbia’. Guthrie’s been back in my mind in recent days, as the 50th anniversary of his death approaches, next Tuesday. I’ve also seen more of him in recent times – in the humanity displayed by those who comforted the dying and helped the survivors after the Las Vegas shooting, and in the actions of citizens helping one another in the wake of Hurricane Harvey. Like Guthrie’s writings, the practice of people simply helping one another – whether they be lifelong neighbors or complete strangers – stands in contrast to the rancor of partisan politics and the seemingly-constant slew of bad news. Such actions, like the best of Woody Guthrie’s songs, offer hope. I am out to sing songs that will prove to you that this is your world and that if it has hit you pretty hard and knocked you for a dozen loops, no matter what color, what size you are, how you are built, I am out to sing the songs that make you take pride in yourself and in your work. So next Tuesday I’ll listen or strum a few, remember Woody, and keep the hoping machine running. 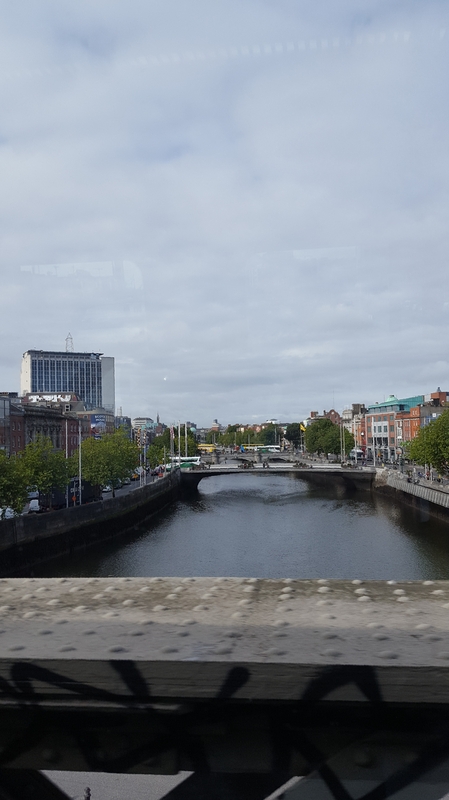 On a recent visit to Dublin I navigated through a Tuesday morning rush hour along Herbert Place, a few feet above the slow-moving waters of the Grand Canal. 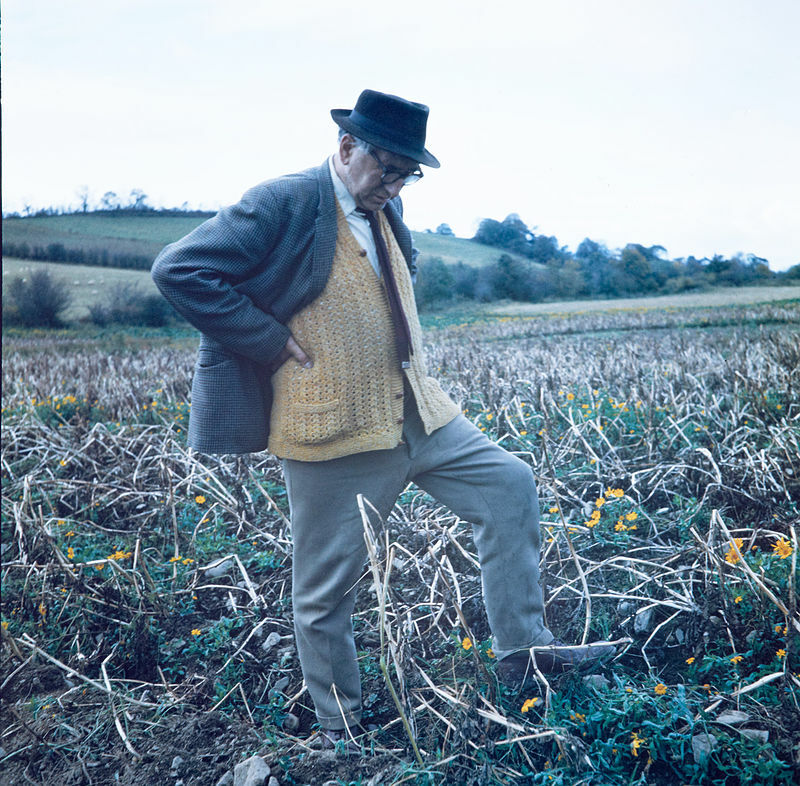 As I did so, I wondered what the bard of Baggotonia, Patrick Kavanagh, would make of his old strolling ground. The 50th anniversary of the poet’s death falls in November, and the Dublin that he left behind in 1967 is as dearly departed as the man himself. The city of pubs and priests, holy hours and holy grail civil service jobs – the city Kavanagh knew, if not loved – no longer exists, thankfully. The 8am surge along Wilton Terrace moves with the same speed and attitude as that on lower Manhattan, or Canary Wharf. Few wallow in the habitual or the banal in 2017, it seems. Why should they? And what could a 20th century farmer poet from rural Co Monaghan have in common with today’s Baggotonians? Little enough, I thought, until – days later – verses from one of Kavanagh’s later poems came to my mind. Pleasures that we missed by inches. The words resonate across the span of a half century, from a poet seated by still canal waters to commuters whizzing by in 2017, yards from where he once rested. And whether we were there or are here, whether we were then or are now, we are not alone. On Dollymount Strand, September 2017. Every emigrant believes that their story is new. 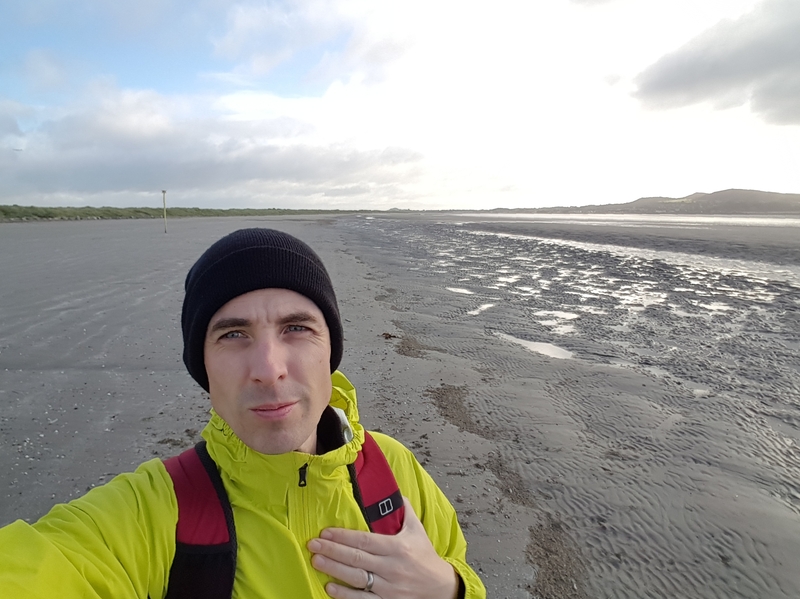 It’s a conviction woven through the fabric of the emigration itself; a new start, new beginnings, a renewal of outlook and perspective – all these are critical to the experience, and my experience was no different. As an Irishman, I’m aware that millions of people departed my home country for the United States over the past 200 years, under many circumstances (and a great many of those unhappy). And yet, because I’m me and this is my life, I can’t help but put myself front and center in my own story. 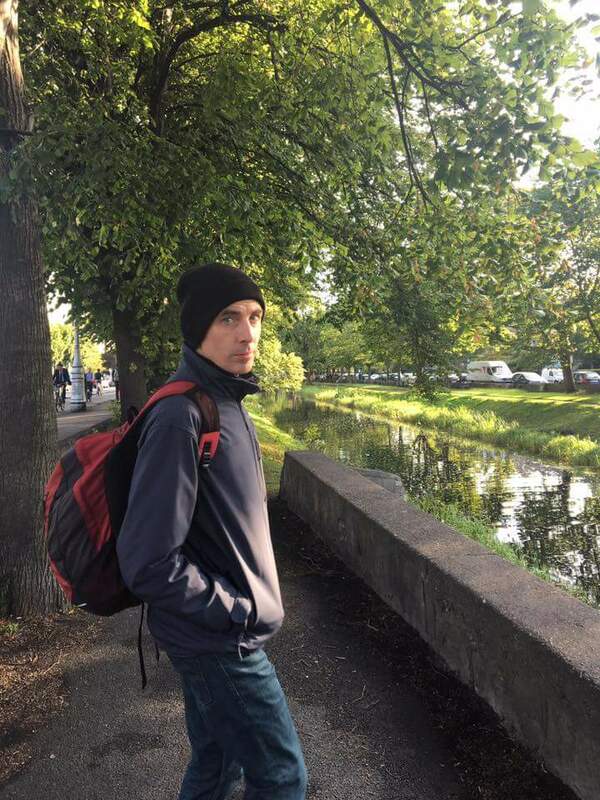 So, when I returned to Ireland for a visit last week – my first since leaving the country more than a year earlier – I expected (naively, of course) the insights to fall like rain from an Irish summer sky. I would see myself, and the country, cast in a new, deeper light; I would achieve understandings that were impossible in the 38 years I’d lived there. I may not have forged the uncreated conscience of my race since I’d left, but I would have strongly held beliefs on what makes a good taco, for example, among other things. What I found was what I already knew, but perhaps didn’t appreciate enough before. It’s obvious to some I’m sure, but it wasn’t to me. For all the tourist ads and Instagram pics, the Ireland I returned to wasn’t a place. The place was there (I was standing in it, after all), but what made it ‘home’ was the people. And my wife and I tried to meet as many people as possible. Over a short number of days we spent time with family, met old friends and former work colleagues, and even shot the breeze with the owner of our favorite coffee shop. We didn’t do, or speak about, anything different or groundbreaking or radical to what we had before. The ‘T word‘ may have been raised once or twice, but we got over that quickly enough. There was no pretense or argument or oneupmanship – just connection. When I walked into departures at Dublin Airport a few days later, I hadn’t come into possession of any great emigrant insights. I wasn’t taking off with a razor-sharp concept of the 21st-century Irish psyche in my pocket. My insight was simple enough – that Ireland contains some of the greatest people, who I love and I miss and who I look forward to returning to. Sin é . When he woke in the morning it was with him. The fear was a dull one, at once vague and specific. It persisted while he dressed and ate breakfast and, later, as he sat for hours at the office. He had not taken the phone call. His colleague, unsuspecting, had spoken to the caller and written down the message. That was four days ago, and since then scarcely 20 minutes had passed without his thinking of when it would happen. For the first two days he had repeatedly checked before leaving a building, or noted the cars that stopped outside his apartment block, until it struck him that these were useless activities. His role in this was to wait. There was nothing else to do. Of course nothing might happen, but that nothing cast the something into cold, sharp relief. “Any plans for the holidays?” asked the barman, as the man waited to meet the person who had set all this in motion. “No, nothing,” he replied. He watched the door, and waited. All that remains are two large, oblong stones, which lie perpendicular to one another in a small glade. Yet it’s here that, for decades in the middle part of the last century, fire watchers spent their summers, perched on the summit of Bald Mountain, beneath the huge glaciated wall of Mount Hood to the west. 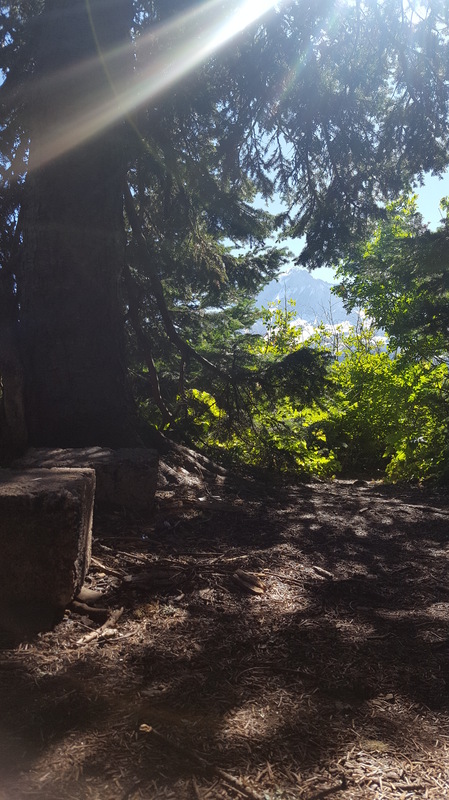 Only the two stones remain on the mountain top these days, surrounded by the tall trees that have grown up in the 60 or more years since the lookout was abandoned. Standing at the summit last weekend, on a blazing hot Oregon August day, I wondered if any of those who watched on Bald Mountain were still around? What could they tell of the long months spent up here alone, binoculars in hand, scouring the ridges, tree lines and valleys for storms and smoke? Since I was a teenager the job of fire lookout has seemed hugely romantic. Long before I encountered Thoreau, and at a time when the highest peaks I’d climbed were the lowly Slieve Bloom mountains in the Irish Midlands, I was fixated on the job. The weather, the remoteness, the desolation – all undercut with a grave responsibility to protect people: was it any wonder it appealed to a young scout? Fast forward a few years and – now in my late teens – I discovered the writings of Jack Kerouac. Better known for his cross-country beat jaunts, the writer also spent two months as a lookout on Desolation Peak in the High Cascades range, in Washington. While brilliant, the crags of Mount Hood National Forest are not bleak – not in summer at least. Every hour dozens of hikers walk the Timberline Trail beneath Bald Mountain’s summit, while dozens more saunter down the nearby level stretch of the Pacific Crest Trail. But the peak itself is quiet, if not desolate, and a few moments spent alone there are enough to remove you from yourself, and connect you to the generations of people who hiked there before, and millennia of flora and fauna that existed in that spot. And cause you to think of, as Jack the Lookout put it, “a blade of grass jiggling in the winds of infinity, anchored to a rock, and for your own poor gentle flesh no answer”.